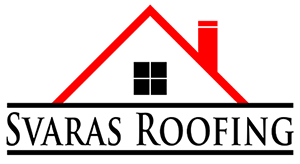 About Us - Svaras Roofing Inc. I started roofing in the summer of 1982, my neighbor in Algonquin, IL owned his own roofing company and asked if I wanted a job. I worked for him until graduating high school. Then I worked for a union company out of Chicago. The work wasn't steady, so at age 24 in March 1992, I started off on my own, with a small truck and a couple ladders. I have worked steadily since. A few years back, I had 16 employees and 3 crews. When the stock market crashed, I kept the best 5 employees and one crew. In doing this I found that my customers were getting a better job. I am involved in every project we do and have very few call backs. The customer already expects their roof done correctly, what they don't expect is everything around the home to get destroyed. My employees ( I do not hire sub-contractors ) are well trained to protect the home and property from damage and are polite and courteous to all my customers. They also are expert installers, who I trained myself. We are completely set up for the home owner. We do all our own disposal, either a dump truck or trailer, everything stays on wheels, not damaging drive ways. We have a full sheet metal shop, constructing and installing customized sheet metal. Everything from chimney counter flashings to copper bay window roofs are made and installed. We also install 5" and 6" seamless aluminum gutters and downspouts, copper gutters are also available. I look forward to your call or mail and hope to be of service to you.